From the beginning of 2017, Queensland homeowners will be required to update smoke alarms systems in line with the new fire legislation. The changes to the legislation will be rolled out over the next 10 years but it is hoped that property owners will move to upgrade their homes sooner rather than waiting until the relevant deadlines come around to ensure residents are protected against fire. The Minister for Fire and Emergency Services, Bill Byrne, announced the changes made in QLD Parliament late last month. In his statement the minister explained that the updates to the legislation have come about following recommendations by the inquiry into the tragic 2011 Slacks Creek house fire in which 11 people died, 8 of them children. 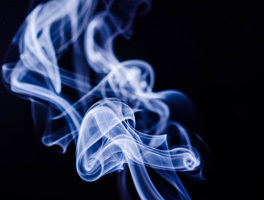 The new smoke alarm requirements specify that every Queensland residence must be fitted with an interconnected photoelectric smoke alarm system, either hard wired or wireless with 10-year lithium battery alarms by 2027. The smoke alarms must be fitted in all bedrooms and in the hallways of homes. Amendments to the legislation are hoped to avoid fire accidents like the one in Slacks Creek by providing the earliest possible warning of a fire situation for everyone in the home. This is achieved by installing photoelectric type smoke alarms which detect smoke from smoldering fires and interconnecting all alarms to ensure if the alarm activates near the kitchen that anyone at the other end of the house or in a bedroom with the door shut will be alerted to the danger. Within the 10-year smoke alarm legislation roll-out the government has stipulated a range deadlines. The updated smoke alarm requirements also state that every smoke alarm replaced or installed from January 1, 2017, must be a photoelectric style alarm. Many newer homes may already be fitted with a hardwired smoke alarm system and only require the installation of additional alarms to the bedroom areas. However, older homes with individual 9-volt smoke alarms will require a full hardwired or wirelessly integrated system installed. Please note - hardwired or 240 volt smoke alarm systems are connected to the power supply of your home and should only be installed, repaired or upgraded by a licenced electrician for the safety of your home and family. For more information on updating the smoke alarm system in your home speak to our Brisbane electrical team on 3881 0956 or complete our booking request form today. The Queensland Government has warned that some isolators used in solar systems have an internal fault that can lead to overheating and fires. How do I know if I have a defective product? PvPower branded DC isolators (model number XPDCISO1000V32A). The isolators are a dial with a red switch with a yellow background around the switch. Avanco brand switches have the brand on the front. 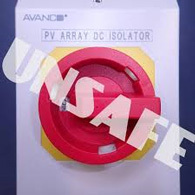 Other defective isolators will look similar but may not have a brand name on them. What should I do if I have these products installed? If you have these isolators installed you should shut down your system immediately. Most solar systems have the shutdown procedure listed near the inverter or main switchboard. If you are unsure, check your operating manual or invoice, or call your installer. Get the advice you need on industrial solar electricity systems. Bills are split into two sections. The first part of the bill relates to the charges from the retailer for the electricity consumed. The second part of the bill relates to charges for the maintenance of the network by Energex. Currently one of the network charges is based on maximum demand charged on the basis of maximum Kilowatts (kW) used during the billing cycle. This charge is being changed to a charge based on Kilovolt Amps (kVA). Power Factor of the installation is the primary determinant of the difference between Kilowatts and Kilovolts. This will ultimately affect most businesses who will see the new value of the Kilovolt Amps to be greater than the previous value of the Kilowatts. The current demand charge per Kilowatt is $24. A business using 100 Kilowatt maximum demand may find that they have a value of 125 Kilovolt Amps. This will result in a 25% increase to the demand charge. Resulting in an increase to the electricity bill of $600. Get the advice you need on power factor correction today.